There are more than 350 million people worldwide that suffer from depression. One of the saddest things about depression is the lack of effective medications that a person can take. Luckily, cannabis gives a chemical free alternative for thousands of patients who suffer from depression. Doctors almost always prescribe pharmaceuticals for depression, many of which have harmful side effects such as suicide. Just think about that for a second. A pharmaceutical solution for depression with side effects that can depress you. The scary thing is that there are millions of people on these harmful medications. Many studies have been released which found that cannabis can be an effective treatment for depression. It is our job to find these studies and index them for your easy access. 2018 - Full ~ The selective reversible FAAH inhibitor, SSR411298, restores the development of maladaptive behaviors to acute and chronic stress in rodents. 2018 - Full ~ Cannabis Essential Oil: A Preliminary Study for the Evaluation of the Brain Effects. Hindawi: Evidence-Based Complementary and Alternative Medicine. 2018 - Full ~ Detection of Significant Association Between Variants in Cannabinoid Receptor 1 Gene (CNR1) and Personality in African-American Population. 2018 - Full ~ Negative urgency partially accounts for the relationship between major depressive disorder and marijuana problems. Borderline Personality Disorder and Emotional Dysregulation. 2018 - Full ~ Prolonged Cannabidiol Treatment Effects on Hippocampal Subfield Volumes in Current Cannabis Users. 2018 - Abstract ~ CB1 cannabinoid receptor ligands augment the antidepressant-like activity of biometals (magnesium and zinc) in the behavioural tests. 2018 - Abstract ~ Prospects of Cannabidiol for Easing Status Epilepticus-Induced Epileptogenesis and Related Comorbidities. 2018 - Abstract ~ Evaluation of different drug classes on transient sciatic nerve injury-depressed marble burying in mice. 2018 - Abstract ~ Impacts of cannabinoid receptor ligands on nicotine- and chronic mild stress-induced cognitive and depression-like effects in mice. 2018 - Abstract ~ The association between lifetime cannabis use and dysthymia (persistent mild depression) across six birth decades. 2018 - Abstract ~ Circulating endocannabinoids and affect regulation in human subjects. 2018 - Abstract ~ Substance Use and Suicide in Pacific Islander, American Indian, and Multiracial Youth. American Journal of Preventative Medicine. 2018 - Abstract ~ The role of depressive symptoms in treatment of adolescent cannabis use disorder with N-Acetylcysteine. 2018 - Abstract ~ Cannabidiol Induces Rapid and Sustained Antidepressant-Like Effects Through Increased BDNF Signaling and Synaptogenesis in the Prefrontal Cortex. 2018 - Abstract ~ Association of Cannabis With Long-Term Clinical Symptoms in Anxiety and Mood Disorders: A Systematic Review of Prospective Studies. 2018 - Abstract ~ Sub-chronic treatment with cannabidiol but not with URB597 induced a mild antidepressant-like effect in diabetic rats. 2018 - Abstract ~ Antidepressant-like effect induced by Cannabidiol is dependent on brain serotonin levels. 2018 - Abstract ~ Inhibition of Fatty Acid Amide Hydrolase Improves Depressive-Like Behaviors Independent of Its Peripheral Antinociceptive Effects in a Rat Model of NeuropathicPain. 2018 - Abstract ~ Itch and psyche: psychiatric aspects of pruritus. 2018 - Abstract ~ Relationships between substance abuse/dependence and psychiatric disorders based on polygenic scores. International Behavioural and Neural Genetics Society: Genes, Brains, and Behavior. 2018 - Abstract ~ Effects of rTMS on Hippocampal Endocannabinoids and Depressive-like Behaviors in Adolescent Rats. 2018 - Abstract ~ Integrating endocannabinoid signaling in the regulation of anxiety and depression. 2018 - Abstract ~ Orbitofrontal connectivity is associated with depression and anxiety in marijuana-using adolescents. 2018 - Abstract ~ Risks and Benefits of Marijuana Use: A National Survey of U.S. Adults. 2018 - Abstract ~ The endocannabinoid system in mental disorders: Evidence from human brain studies. JAMA Otolaryngology: Head and Neck Surgery. 2017 - Full ~ Changes in the Brain Endocannabinoid System in Rat Models of Depression. 2017 - Full ~ Endocannabinoid signalling modulates susceptibility to traumatic stress exposure. 2017 - Full ~ Plastic and Neuroprotective Mechanisms Involved in the Therapeutic Effects of Cannabidiol in Psychiatric Disorders. 2017 - Full ~ Residential Mobility, Transience, Depression, and Marijuana Use Initiation Among Adolescents and Young Adults. 2017 - Full ~ Endocannabinoid signalling modulatessusceptibility to traumatic stress exposure. 2017 - Full ~ Cannabis as a substitute for prescription drugs – a cross-sectional study. 2017 - Full ~ New drugs in psychiatry: focus on new pharmacological targets. 2017 - Full ~ Targeting the Endocannabinoid/CB1 Receptor System For Treating Major Depression Through Antidepressant Activities of Curcumin and Dexanabinol-Loaded Solid Lipid Nanoparticles. 2017 - Full ~ Effects of cannabis use and subclinical depression on the P3 event-related potential in an emotion processing task. 2017 - Full ~ Selectively Impaired Endocannabinoid-Dependent Long-Term Depression in the Lateral Habenula in an Animal Model of Depression. 2017 - Full ~ Cannabinoid type 2 receptors in dopamine neurons inhibits psychomotor behaviors, alters anxiety, depression and alcohol preference. 2017 - Full ~ Schizophrenia and depression, two poles of endocannabinoid system deregulation. 2017 - Full ~ Role of cannabinoid receptor 1-mediated synaptic plasticity in neuropathic pain and associated depression. Department of Anethesiology, Jinling Hospital, Medical School of Nanjing University. 2017 - Abstract ~ FAAH Inhibition Produces Antidepressant-like efforts of Mice to Acute Stress via Synaptic Long-term Depression. 2017 - Abstract ~ The effects of synthetic cannabinoids on executive function. 2017 - Abstract ~ Activation of cannabinoid receptors elicits antidepressant-like effects in a mouse model of social isolation stress. Society for the Study of Addiction. 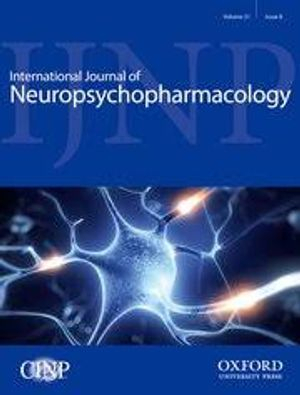 2017 - Abstract ~ Electroconvulsive therapy enhances endocannabinoids in the cerebrospinal fluid of patients with major depression: a preliminary prospective study. 2017 - Abstract ~ Cannabis use and the course and outcome of major depressive disorder: A population based longitudinal study. 2017 - Abstract ~ Cannabis use and mental health-related quality of life among individuals with depressive disorders. 2017 - Abstract ~ Prefrontal endocannabinoids, stress controllability and resilience: A hypothesis. 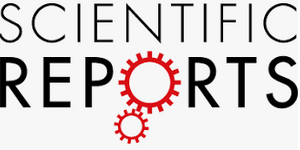 Journal of South Central University: Medical Sciences. 2017 - Abstract ~ Neurosteroid biosynthesis downregulation and changes in GABAA receptor subunit composition: A biomarker axis in stress-induced cognitive and emotional impairment. 2017 - Abstract ~ Properties of the corticostriatal long term depression induced by medial prefrontal cortex high frequency stimulation in vivo. 2017 - Abstract ~ User characteristics and effect profile of Butane Hash Oil: An extremely high-potency cannabis concentrate. 2017 - Abstract ~ Chronic CB1 cannabinoid receptor antagonism persistently increases dendritic spine densities in brain regions important to zebra finch vocal learning and production in an antidepressant-sensitive manner. 2017 - Abstract ~ Interferon-γ causes mood abnormalities by altering cannabinoid CB1 receptor function in the mouse striatum. 2017 - Abstract ~ Role of orbitofrontal sulcogyral pattern on lifetime cannabis use and depressive symptoms. 2017 - Abstract ~ Adolescent peer networks and the moderating role of depressive symptoms on developmental trajectories of cannabis use. 2017 - Abstract ~ Changes in the Cannabinoids Receptors in Rats Following Treatment with Antidepressants. 2017 - Abstract ~ Role of the endocannabinoid system in the formation and development of depression. 2016 - Full ~ Monoacylglycerol lipase inhibitors produce pro- or antidepressant responses via hippocampal CA1 GABAergic synapses. 2016 - Full ~ Cyclooxygenase-2 inhibition reduces stress-induced affective pathology. 2016 - Full ~ Putative Epigenetic Involvement of the Endocannabinoid System in Anxiety- and Depression-Related Behaviors Caused by Nicotine as a Stressor. 2016 - Full ~ Fluorinated Cannabidiol Derivatives: Enhancement of Activity in Mice Models Predictive of Anxiolytic, Antidepressant and Antipsychotic Effects. 2016 - Full ~ Endocannabinoid-Mediated Plasticity in Nucleus Accumbens Controls Vulnerability to Anxiety after Social Defeat Stress. 2016 - Full ~ Endocannabinoid signaling in social functioning: an RDoC perspective. 2016 - Full ~ The relationship between cannabis use and measures of anxiety and depression in a sample of college campus cannabis users and non-users post state legalization in Colorado. 2016 - Full ~ Ketamine and MAG Lipase Inhibitor-Dependent Reversal of Evolving Depressive Behavior during Forced Abstinence from Alcohol Drinking. 2016 - Full ~ Lipids in psychiatric disorders and preventive medicine. 2016 - Full ~ The association of specific traumatic experiences with cannabis initiation and transition to problem use: Differences between African-American and European-American women. 2016 - Full ~ Target-specific modulation of the descending prefrontal cortex inputs to the dorsal raphe nucleus by cannabinoids. 2016 - Full ~ Dose-dependent cannabis use, depressive symptoms, and FAAH genotype predict sleep quality in emerging adults: a pilot study. American Journal of Drug & Alcohol Abuse. 2016 - Abstract ~ Role of hypothalamic cannabinoid receptors in post-stroke depression in rats. 2016 - Abstract ~ Antidepressant-like effect of cannabidiol injection into the ventral medial prefrontal cortex – possible involvement of 5-HT1A and CB1 receptors. 2016 - Abstract ~ Placebo effect: clinical, biological and therapeutical involvements in depression. 2016 - Abstract ~ Sevoflurane Prevents Stroke-induced Depressive and Anxiety Behaviors by Promoting Cannabinoid Receptor Subtype I-dependent Interaction Between β-Arrestin 2 and ERK1/2 in the Rat Hippocampus. 2016 - Abstract ~ Genetically reduced FAAH activity may be a risk for the development of anxiety and depression in persons with repetitive childhood trauma. 2016 - Abstract ~ Prohedonic Effect of Cannabidiol in a Rat Model of Depression. 2016 - Abstract ~ Anxiety, depression and risk of cannabis use: Examining the internalising pathway to use among Chilean adolescents. 2016 - Abstract ~ Anandamide reverses depressive-like behavior, neurochemical abnormalities and oxidative-stress parameters in streptozotocin-diabetic rats: Role of CB1 receptors. 2015 - Full ~ High Times for Painful Blues: The Endocannabinoid System in Pain-Depression Comorbidity. 2015 - Full ~ Crosstalk between endocannabinoid and immune systems: a potential dysregulation in depression? 2014 - Study ~ Anti-depressive mechanism of repetitive transcranial magnetic stimulation in rat: The role of the endocannabinoid system. 2013 - Study ~ Screening genetic variability at the CNR1 gene in both major depression etiology and clinical response to citalopram treatment. 2013 - Study ~ Additive effect of rimonabant and citalopram on extracellular serotonin levels monitored with in vivo microdialysis in rat brain. 2013 - Study ~ Can Marijuana Reduce Social Pain? 2013 - Study ~ The effects of anandamide signaling enhanced by the FAAH inhibitor URB597 on coping styles in rats. 2013 - Study ~ Cannabinoids, Neurogenesis and Antidepressant Drugs: Is there a Link? Emotional Learning and LTP in a Rat Model of Depression. 2013 - Study ~ Endocannabinoid Signaling in the Etiology and Treatment of Major Depressive Illness. 2013 - Study ~ Low frequency stimulation evokes serotonin release in the nucleus accumbens and induces long-term depression via production of endocannabinoid. 2012 - Study ~ Serum contents of endocannabinoids are correlated with blood pressure in depressed women. 2012 - Study ~ Cannabinoid Receptor Genotype Moderation of the Effects of Childhood Physical Abuse on Anhedonia and Depression. 2012 - Study ~ Effect of delta-9-tetrahydrocannabinol on behavioral despair and on presynaptic and postsynaptic serotonergic transmission. 2012 - Study ~ Nature Against Depression. 2012 - Study ~ Lower levels of cannabinoid 1 receptor mRNA in female eating disorder patients: Association with wrist cutting as impulsive self-injurious behavior. 2012 - Study ~ Expression pattern of the cannabinoid receptor genes in the frontal cortex of mood disorder patients and mice selectively bred for high and low fear. 2012 - Study ~ The combined effects of parental divorce and parental history of depression on cannabis use in young adults in France. 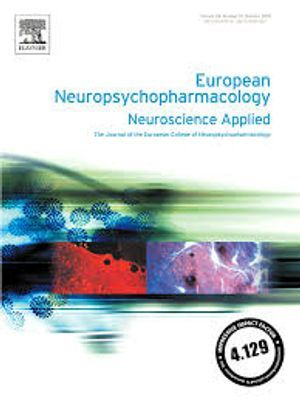 2012 - Study ~ Opposing local effects of endocannabinoids on the activity of noradrenergic neurons and release of noradrenaline: relevance for their role in depression and in the actions of CB(1) receptor antagonists. 2012 - Study ~ Endocannabinoid system and mood disorders: Priming a target for new therapies. 2011 - Study ~ Endocannabinoid system dysfunction in mood and related disorders. 2011 - Study ~ Cannabinoids and emotionality: a neuroanatomical perspective. 2011 - Study ~ Testing bidirectional effects between cannabis use and depressive symptoms: moderation by the serotonin transporter gene. 2010 - Study ~ Antidepressant-like effect of delta9-tetrahydrocannabinol and other cannabinoids isolated from Cannabis sativa L.
2010 - Study ~ Brain CB2 Receptors: Implications for Neuropsychiatric Disorders. 2010 - Study ~ Uni-Morbid and Co-Occurring Marijuana and Tobacco Use: Examination of Concurrent Associations with Negative Mood States. 2010 - Study ~ Genes differentially expressed in CB1 knockout mice: involvement in the depressive-like phenotype. 2010 - Study ~ Deficiency in Endocannabinoid Signaling in the Nucleus Accumbens Induced by Chronic Unpredictable Stress. 2010 - Study ~ Pharmacological exploitation of the endocannabinoid system: new perspectives for the treatment of depression and anxiety disorders? 2009 - Study ~ Cannabis and suicide: longitudinal study. 2008 - Study ~ Treating depression with cannabinoids. 2008 - Study ~ Nicotine (NC)-induced "depressive" behavioral symptoms and effects of antidepressants including cannabinoids (CBs). 2008 - Study ~ Animal research highlights a therapeutic potential of cannabinoids for the treatment of depression. 2007 - Study ~ Chronologically overlapping occurrences of nicotine-induced anxiety- and depression-related behavioral symptoms: effects of anxiolytic and cannabinoid drugs. 2007 - Study ~ Cannabinoids elicit antidepressant-like behavior and activate serotonergic neurons through the medial prefrontal cortex. 2007 - Study ~ Antidepressant-like activity of the fatty acid amide hydrolase inhibitor URB597 in a rat model of chronic mild stress. 2007 - Study ~ Dronabinol and marijuana in HIV-positive marijuana smokers: caloric intake, mood, and sleep. 2006 - Study ~ Decreased depression in marijuana users. 2006 - Study ~ The synthetic cannabinoid nabilone improves pain and symptom management in cancer patients. 2006 - Study ~ Marijuana use and depression among adults: Testing for causal associations. 2006 - Study ~ Do patients use marijuana as an antidepressant? 2006 - Study ~ A possible role for the endocannabinoid system in the neurobiology of depression. 2005 - Study ~ Cannabinoids promote hippocampus neurogenesis and produce anxiolytic- and antidepressant-like effects. 2005 - Study ~ Antidepressant-like activity by blockade of anandamide hydrolysis. 2005 - Study ~ Depression in Parkinson's disease is related to a genetic polymorphism of the cannabinoid receptor gene (CNR1). 2005 - Study ~ Antidepressant-like Activity and Modulation of Brain Monoaminergic Transmission by Blockade of Anandamide Hydrolysis. 2005 - Study ~ Decreased Depression in Marijuana Users. 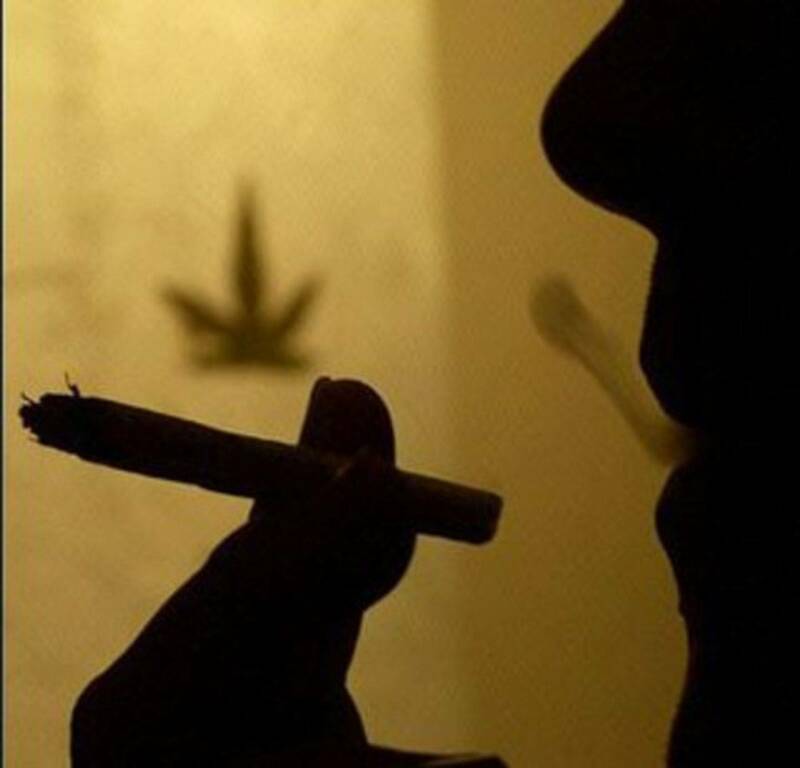 2004 - Study ~ Association between cannabis use and depression may not be causal, study says. 2000 - Study ~ Anxiety with Depression Research Review.